We provide high quality and low cost clear plastic vinyl name badge holders, convention name badge holders, ID Card and I.D. 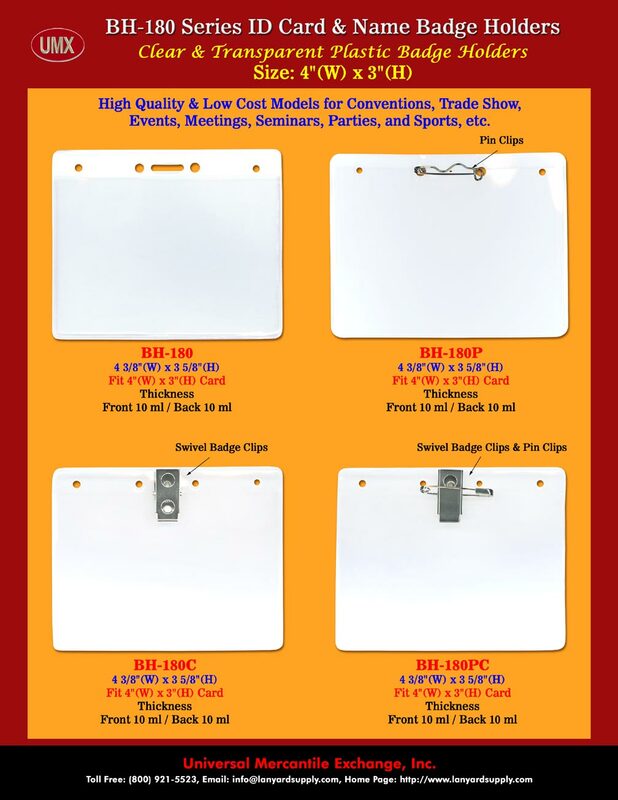 Name badge holder identification supply for convention and trade show, exhibits etc. With option of logo imprinting to promote your company image too.